Across Canada, over 30 experienced educators have and are currently supporting resources4rethinking.ca by reviewing resources and sharing their energy, enthusiasm, and experience. Roland has an extensive background in environmental education and conservation. He enjoys cross country skiing, snowshoeing, kayaking and wilderness hiking. He holds a Bachelor of Education degree and a Masters degree in Environmental Science with specialization in biological conservation and environmental education. He served as the education manager for Cape Jourimain Nature Centre and is currently working with the Aster Group, an environmental workers’ cooperative based in Moncton, NB. A devoted naturalist, Roland is a long-time volunteer with New Brunswick’s provincial naturalists group, Nature NB. Paul Davis is a K-12 on-call teacher and a cinéaste in the Yukon. His teaching certificate is from Yukon College and the University of Alaska. His MA is from Dalhousie. He has studied Energy and the Environment at the University of Oslo. He practices what he preaches! My name is Anik Grandmaison, I am 24 years old and I teach at the Centre scolaire Samuel de Champlain in Saint John, New Brunswick. Originally from Edmunston, I studied at the University of Moncton, and I will complete a Masters in Resource Teaching next year. I'm a very dynamic person; and I'm always up to something. I love to try new sports (white water rafting, kayaking, etc!). Teaching fits me like a glove because it's full of surprises, and full of change! 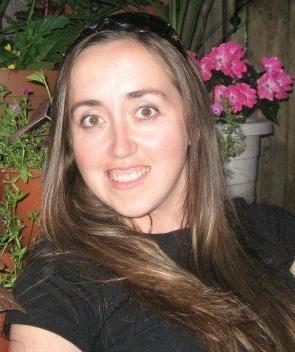 Shelly is an early years teacher in Winnipeg, Manitoba. She completed both her Bachelor of Arts and Bachelor of Education at the University of Manitoba, and spent time at Red River Community College completing her certification in American Sign Language. Shelly enjoys spending time with her family, and taking part in a variety of activities that allow her to appreciate the outdoors. She enjoys the opportunity to share her passion about the environment with students of all ages. Danya Jaworsky is an educator and has taught grades 2 through 6. Her first four years of teaching were in Ottawa. She moved to the west where she continued teaching and completed several university degrees in Winnipeg, Manitoba. She also taught in Scotland on exchange and worked in film in Europe during a deferred leave. She is passionate about nature, animals, and clean air. Gail currently teaches middle school math and science in rural New Brunswick after spending 15 years as a high school science teacher and department head. She has both a chemistry and education degree from Mount Allison University. Gail has been a program leader at the Tantramar Wetlands Center, served on district math and science committees, assisted with regional workshops for science teachers, and has helped new teachers in her role as both math and science mentor. Her life has been enriched by her extensive involvement in coaching school sports teams the past 24 years and supporting and organizing numerous extra-curricular activities for her students. She lives in Upper Dorchester with her husband and two teenage boys. Robert Leibner has taught grade 8 and grade 10 science and grade 11 environmental studies and sustainability in Montreal area high schools. He holds a masters degree in environmental studies and a TESOL certificate. He currently divides his time between consulting for community development and environmental projects in Montreal, running as a candidate for the Green Party in the Quebec provincial elections, and working as a district sales manager for a transportation brokerage firm. Deborah Miller is an elementary teacher from Winnipeg, Manitoba. She has been teaching in the French Immersion program for the past twenty years. She is married, has two daughters, and spends her leisure time reading and running. She enjoys spending her summer holidays in Pinawa surrounded by the forest, wildlife and the incredible natural beauty of the area. Originally from Montreal, I fell in love with BC. I hold a Bachelor of Education degree from Simon Fraser University, specialising in French, Language & International Education. I will start a M. Ed. Master in Language Education at UBC in September 2007. I am working in a classroom while getting ready to implement a business with an incredible language program for toddlers and children up to five years old. It is a pleasure to be part of this incredible project! Sherri grew up on Vancouver Island exploring the abundance and beauty of forests and shores. Thanks to that gift, she learned early on that interdependency is both life's sustenance and reward. Sherri has worked as a teacher and mentor in education for nineteen years and currently teaches at Glanford Middle School in Victoria, B.C. She completed her B. Ed at the University of Victoria, and Her Masters in Leadership and Training at Royal Roads University. She enjoys contributing to the work of a variety of Canadian NGO's that focus on environment and social responsibility. Teacher, mother, and nature-lover, Cathy Savard grew up - in body as in spirit - in the Charlevoix region. A graduate in industrial relations (with a concentration in labour rights), in education, and in educational kinesiology, Mrs. Savard has taught a wide range of students - most notably at Mingan in St John's, Newfoundland, where she taught young Montagnais students, and in Gatineau in the Outaouais region of Quebec. Airin Stephens hold a Bachelors of Environment and Resource Studies and a Bachelors of Education. Her experiential background includes teaching at inner city schools and outdoor education centres, running an organic farm in Nova Scotia, working with non-profit organisations, ornithology research across Canada, and street theatre as a form of creative resistance and celebration. Originally from Northern New Brunswick, Lori completed Bachelor of Education and Bachelor of Physical Education degrees from Dalhousie University. She has experience in both the private and public school systems during her 16 years of teaching. She has taught grades 3 through 8 to French Immersion students and was a Math specialist at the Grade 5 level. She completed her Masters in Education at the University of New Brunswick in 2008 and she is currently the Acting Vice-Principal at a K-4 school in Moncton. In her free time, Lori enjoys travelling with her husband and the challenge of running half-marathons. Tracy has a diverse and comprehensive background in teaching sciences over the past 20+ years. She has worked with many organisations, lead teams and professional associations, including LSF, EECOM, National Committee of Teacher Advisors for Green Street, Atlantic Geoscience Society, Kieran Pathways Society, AVRSB Literacy Team and the NS Provincial Science Lead Team. Growing up along the ocean near Kouchibouguac National Park, Shawna always enjoyed and appreciated the serenity that our natural heritage offers. She completed a Bachelor of Education degree at Universite de Moncton majoring in Biology and English. She has worked for various public and private organizations, such as Parks Canada and CARIS, as an educator. She currently resides in southern New Brunswick where she teaches high school math and science to both French Immersion and English language students.